SANTA ANA, CA--(Marketwired - December 15, 2015) - Out of 500 top remodelers in the U.S. for 2015, System Pavers of Santa Ana, California ranks as the 8th largest in the U.S. based on a variety of business criteria, according to Qualified Remodeler magazine's Top 500 2015 report. Qualified Remodeler has ranked System Pavers the 8th largest remodeler in the U.S. as part of their Top 500 2015 report. The annual Top 500 List is the hallmark designation of the magazine's influential circulation which serves an audience of over 70,000 remodelers. Over the last 23 years, System Pavers has emerged as the ultimate outdoor living expert in the vast, and rapidly expanding, home remodeling industry. Of the top 25, System Pavers is the only business specializing in high-quality, full service outdoor living systems and design, further securing its position as America's leading designer and installer of outdoor living spaces. "To be recognized in the Top 10 validates our continuous efforts to set ourselves apart as leaders in the outdoor design and service industry," said Ila Barot-Oldakowski, Director of Marketing of System Pavers. "We have a great team whose commitment to delivering quality design, craftsmanship and customer service makes this possible every day. That is what makes us most proud." After working abroad in the paving industry for years, Larry Green co-founded the privately-owned, Southern California Company with businessman Doug Lueck in 1992. Their desire to offer European landscape design and tasteful outdoor architecture to American homeowners proved successful with the company completing more than 60,000 projects since opening their doors. Their unsurpassed range of paving stones and outdoor elements has contributed to a customer satisfaction rating of approximately 95%, according to GuildQuality, a customer satisfaction research firm specializing in the home improvement industry. Other companies listed by Qualified Remodelers Top 10 of 500 included window, insurance, and kitchen and bath remodeling firms, culminating in the most comprehensive ranking of the nation's largest remodeling firms based on annual revenue. The leading source for news on new products, best practices and design in the remodeling industry. For full ranking visit: http://www.qualifiedremodeler.com/top-500. Since 1992, System Pavers has grown to become America's leading designer and installer of outdoor living systems using interlocking paving stones, natural stone, maintenance-free turf, ambient lighting, built-in bbqs, water features, shade products, and more. System Pavers is committed to reaching even greater heights over the next 23 years and beyond. Visit SystemPavers.com to begin designing your outdoor living space today. 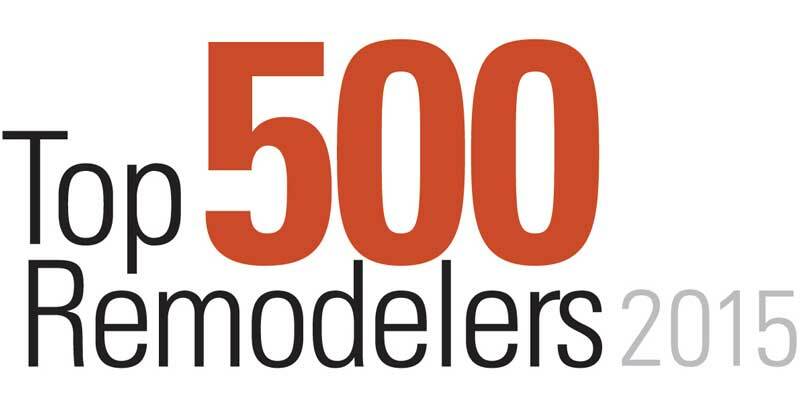 System Pavers ranked 8th in the Top 500 Qualified Remodelers List of 2015.